When the crowds have left, when the shadows lengthen, it's a beautiful time to be walking in bushland. Bring your camera, water to last two hours on a hot afternoon, and maybe, you will be experiencing moments you never had before, not life-changing perhaps, but deep. 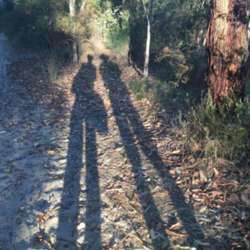 Join us in a walk in bushland during sunset. But hurry, participation is limited to.six.